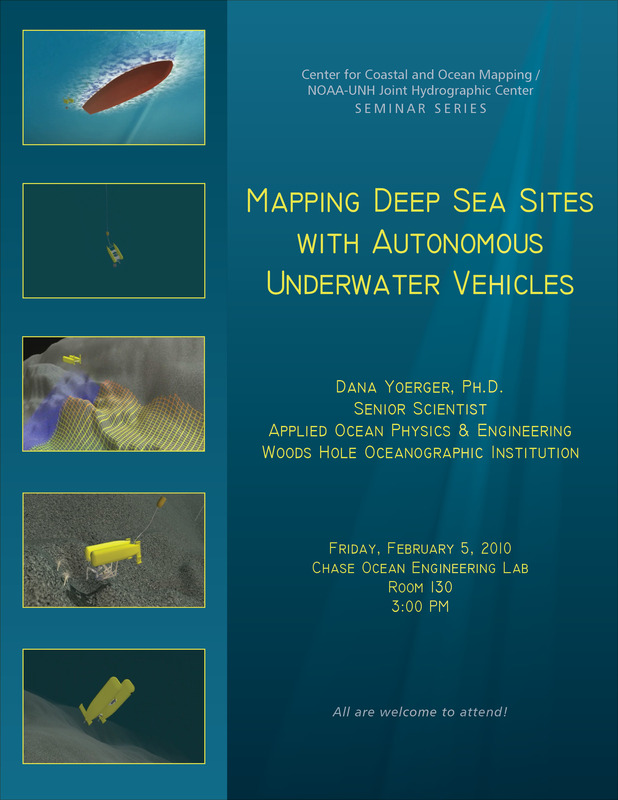 News & Events Seminars Dana Yoerger, Ph.D.
Dana Yoerger is a Senior Scientist at the Woods Hole Oceanographic Institution and a leading researcher in robotics and unmanned vehicles. He supervises the research and academic program of graduate students studying oceanographic engineering through the MIT/WHOI Joint Program in the areas of control, robotics, and design. Dr. Yoerger has gone to sea on over 50 oceanographic expeditions, including the 1985 expedition that discovered the Titanic. His pioneering work in technology has enabled fundamental new discoveries on and near the seafloor. Dr. Yoerger has been a key contributor to the remotely-operated vehicle JASON; to the Autonomous Benthic Explorer known as ABE; most recently, to the autonomous underwater vehicle, SENTRY; and the hybrid remotely operated vehicle, NEREUS. ABE has made over 200 deep ocean dives and deepened our understanding of the Mid-Ocean Ridge, forging the way for the current generation of deep sea mapping AUVs. The AUV SENTRY has expanded the speed, depth capability, and length of deployment beyond ABE. NEREUS, which recently reached the Challenger Deep, includes innovative new technologies for power management, lighting, and buoyancy, as well as a unique hybrid mode: It can swim freely as an AUV to survey and map large areas of the seafloor. Nereus can also be transformed into an ROV with high bandwidth telemetry through a fiber-optic microcable, enabling close-up inspection and precise sampling.